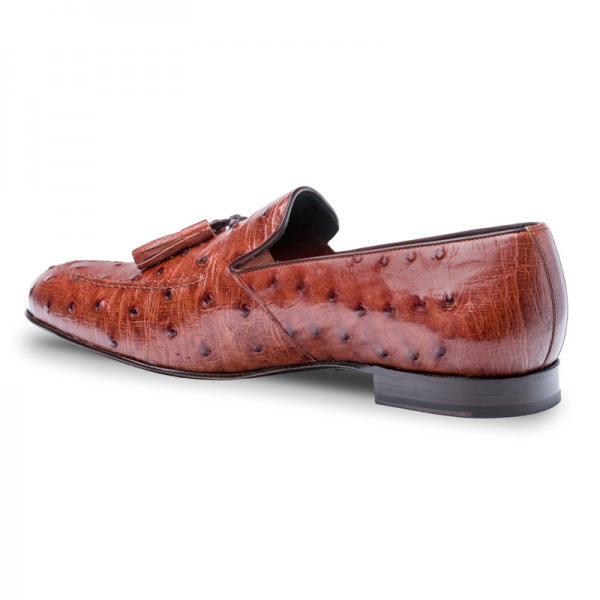 Classic exotic slip on tassled loafer shoes. 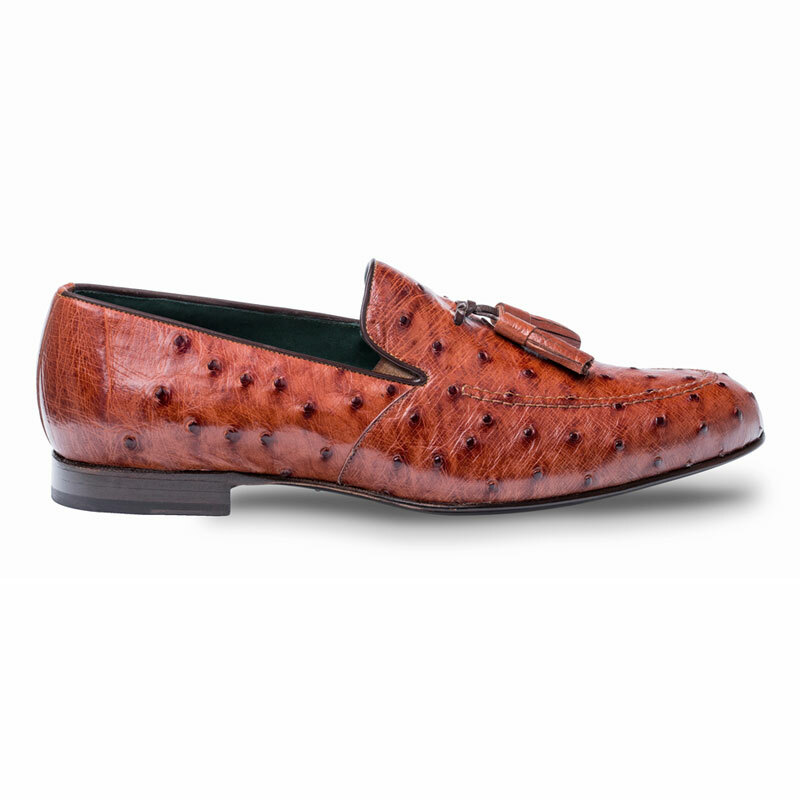 Injected memory foam cushioned insole, genuine ostrich quill, full leather sole. Made in Spain.